We have secured preferential room rates at Edgbaston Park Hotel and Conference Centre and Lucas House Hotel. Edgbaston Park Hotel provides contemporary rooms of a four star standard in a classic style. The hotel is connected to the conference centre, where the Annual Scientific Meeting will take place. 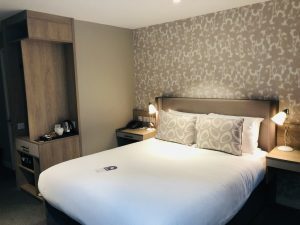 Rooms in Edgbaston Park Hotel are available for £108.00 per night, Bed and Breakfast. For more information on what is included in the rate, please visit the website. Lucas House Hotel is a short walk across the road from the conference venue and offers a budget option for delegates. 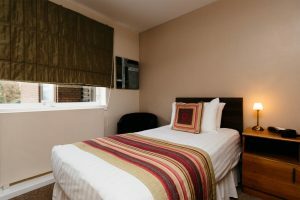 The hotel features comfortable single en-suite bedrooms for £50.00 per night, Bed and Breakfast. For more information on what is included in the rate, please visit the website. To book accommodation, please an email to Lucy Woods or Matthew Arnott at reservations@edgbastonparkhotel.com or telephone Lucy at +44(121) 414 9780 or Matthew at +44(121) 414 9779. You must quote booking reference code: HYPERTENSION to book a double or twin room (Single occupancy). Please note that all rooms are subject to availability and must be booked by the 15th July to guarantee the rate. Whilst we have negotiated rates which will be guaranteed for the dates of the conference, we recommend that you also check-out 3rd party booking sites as sometimes they offer special discounts on a limited number of rooms.